To keep your face flawless, youthful-looking, supple and perfectly clean, you need to approach proper skin care habits and make some valuable investments as well. 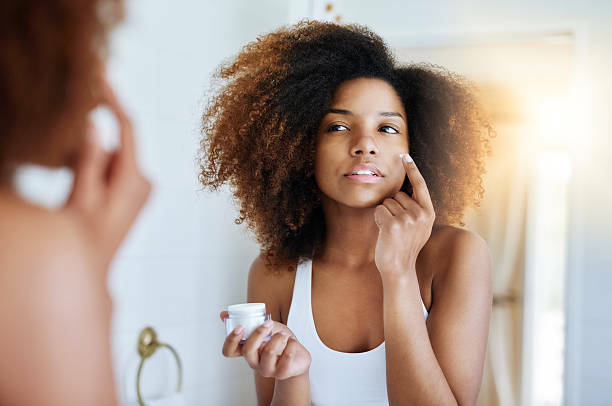 There are four basic skin care tips to consider when it comes to keeping your face blemish-free, bright and supple, but bear in mind that the skincare regimen you opt for is utterly dependent on your skin type: normal, oily, mixed or dry. Once you know what skin type you have, you can follow the below-mentioned steps that will guide you toward a flawless skin that will offer you a youthful and fully-awake look. Simplicity is the key when it comes to cleaning your skin. To keep your pores free of any potentially harmful bacteria, sebum excess or dirt, you have to find a good cleanser your face responds well to. Soaps are never a good solution in this regard, particularly if your skin is dry: they contain detergents that may dry it, even more, making it look older. Opt for a clear cleanser if you have oily skin or a creamy cleanser if you have dry skin. Cleaning your face too often will not help you keep it cleaner and blemish free. Cleaning your face at night to remove make-up is of utmost importance, especially because your pores are clogged by dirt and oil. Make sure to opt for a good make-up remover and remember that your eye area should be carefully treated with a light formula, which is specifically adapted to the eyes. In the morning, lukewarm water should be more than enough to unclog your pores and brighten your face – never wash your face with cold or hot water, as they can both damage your capillaries. Unfortunately, most women neglect this step, which is extraordinarily important due to the fact that it helps to remove dead cells from the top layer of the skin. 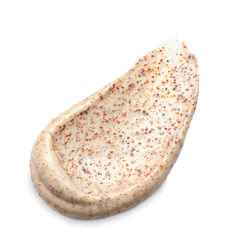 Once you exfoliate your face, you will surely notice an immediate difference in the way it looks. There are several exfoliating options you have when it comes to this step, but you should select the one that is least harmful to your skin. You may prepare yourself a face scrub with honey and brown sugar, or you may choose to purchase one from a local drugstore, but the first option will be more suited. Coconut oil may replace the honey, as it can penetrate the face extremely deeply, moisturizing it properly. A washcloth may be a great option if you do not want to harm your skin too much, and home-made facial peelings should be of great advantage in case you want to approach a safer solution. Moisturizing your skin represents the most important step of this whole skincare regimen. So many issues come from not moisturizing your skin properly, including dry skin, acne, and blemishes. Basic moisturizing creams should offer your skin the necessary layer of moisture it needs in order to be supple and look youthful, but a better option is using herbal oils, such as coconut oil, olive oil, and jojoba oil, which will successfully moisture your skin. Moreover, this option is safer for your skin due to the fact that herbal oils do not contain any allergens or preservatives, but a night cream should never miss from your skin care routine anyway in case you want to keep it properly moisturized. Also, make sure you apply an eye cream from time to time, as it will keep the skin in that area elastic and less predisposed to wrinkles. The primary cause of wrinkles and blemishes is sun damage, so applying a layer of sunscreen over the moisturizing cream and below the make-up will ensure your face of adequate protection for a long while. You may opt either for purchasing a separate product that contains SPF or for buying a moisturizing cream that contains SPF. Both options are similarly suited, but make sure you choose an SPF of at least 15 in order to keep your skin protected properly. To avoid wrinkles and blemishes, apply a layer of sunscreen every time you go outside, regardless of the weather – studies showed that sun UV rays are as strong and damaging during winter as they are during summer. Following this skincare regimen will surely make your skin supple, young-looking, blemish free and perfectly clean, brightening it and making it look naturally beautiful at the same time.